The K53 Test App for motorcycles, light and heavy motor vehicles will help you pass your learner’s licence test for any licence code the first time you take it. The app is available for Apple and Android devices and costs R37,99. Before you can start practising driving skills, you need to study for and pass your learner’s licence test. 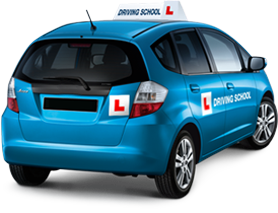 Only 40% of people pass their learner’s licence – however, with the right preparation you will pass the learner’s licence test first time. Start with understanding what the test is all about. Then, make a study plan that allows you to learn all concepts in advance of the actual test. If you have already been exposed to the rules of the road, focus on improving your relatively weaker areas. Taking a practice test will help you know where you are weak vs. strong and would therefore be an important first step. Figure out the best way you learn. All of us have different preferences for learning, however, scientifically most of us recall and learn more if we practise questions and answers. Actually, you may recall as much as 50% more if you practise questions & mock tests versus if you just cram, so get get your hands dirty and start practising. Don’t just use your online resource or sit inside with a book – sit inside a car and orient yourself to the car controls and the road, signs and environment around you. If you are catching a ride with others, practise recalling the rules, signs and road markings while you go along so you have something real to refer back to when you take the test. There are many online resources for the learner’s licence test, including free eBooks and practise tools that tell you how you are progressing. African Licence is one of those resources. Once you have successfully studied your learner’s license, return to iDrive.co.za to find qualified driving school instructors that can help you pass your driver’s license test. There are many websites that have been developed to assist you in completing your Department of Transport Learners Licence test successfully. The websites who offer online leaners license test do not facilitate the real test and only offer “Practice” test questions and answers. All the necessary materials which you would require in order to complete and pass the test successfully are included included here. The various testing systems found here offer 1000’s of learners licensee test questions and answers which provide you with comprehensive coverage of the test syllabus. SA Learners is South Africa’s first Learners Licence website assisting you in completing your Department of Transport Learners Licence test. Over 90% of SA Learners members pass their learners test the first time! This is attributed to the high standards of test material which they provide. You need to be comfortable with the content before booking the real test. Let us help you pass your learner’s and driver’s licence test! 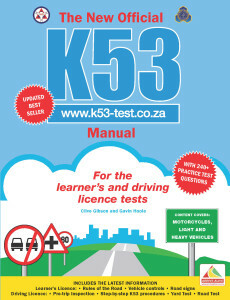 The K53 Test Learner’s and Driver’s Licence website offers you the best preparation before taking the official test given by the Traffic Department. TrafficSigns.co.za is a free service that allows you to study and practice for the real learners license test. Learns about the rules of the road, vehicle controls, traffic signs and when you are read register and take the mock learners license test for free. If you prefer, study for your learner’s license using an eBook. The following eBooks are available from a number of local eBook retailers. Code A1 Motorcycles: 16 years (< 125cc). Code B (08) Light motor vehicles with/without trailer: 17 years. Code C1 – EC (10 – 14) Heavy motor vehicles with/without trailer: 18 years.